Acrylics - 25" x 34"
From Works of Wonder: This is one of my favorite books in the series, and there were many scenes I could have chosen to illustrate. 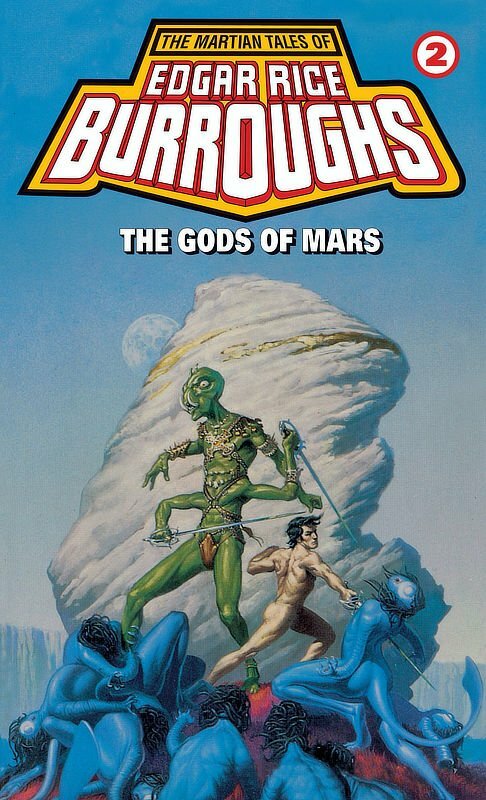 I selected this scene from the first chapter because it is so full of action, in contrast to the statuesque grandeur of the cover scene from A Princess of Mars. I'd like to do it over. In spite of my enthusiasm then, I think I would do a much better job at depicting the scene now. In retrospect, I believe I was thrown by two factors inherent in Burroughs' narrative. First, the plant men are described as "hideous," "ghoulish," and "awful travesties of nature." In an attitude of self-censorship, I was reluctant to paint them too hideous, knowing that the image would be used as a book cover. Since Lester del Rey certainly gave me free rein to be as accurate as possible, in retrospect I don't k now why I assumed such an attitude. 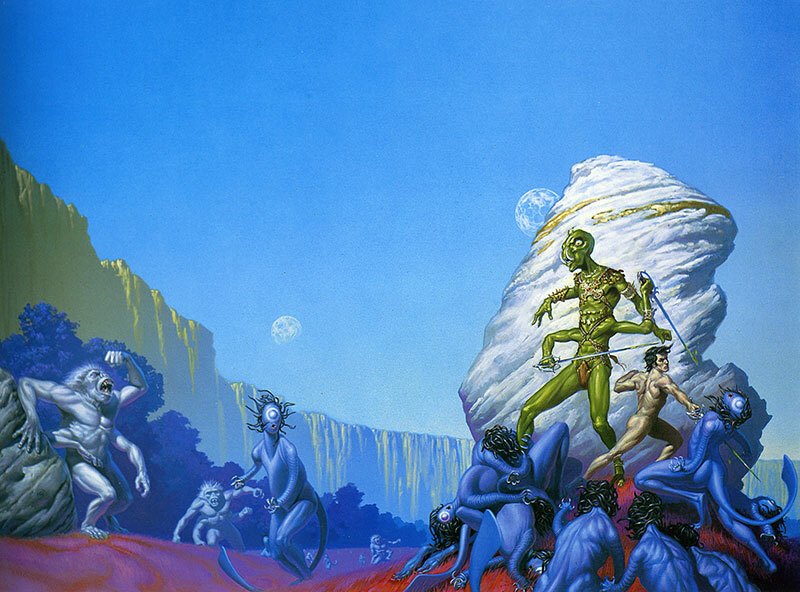 Second, I felt overwhelmed by Burroughs' florid descriptions of the visual aspects of the scene--everything was a brilliant color of one sort or another, and in attempting to portray the scene as described I lost any feeling for balance or unity in the color scheme. All things considered, I'm looking forward to someday having the opportunity for a second try. 1886. 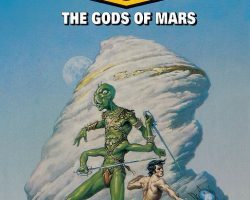 John Carter, forever 30, returns to Mars and again fights enemies with green Tars Tarka and red Kantos Kan. In 'Heaven', Golden Cliffs, 'Goddess' Issus, cannibal, claims immortal divinity and supremacy of black Omeans and white Therns, to enslave and eat pilgrims - green or red. John is trapped, as is wife Dejah Thoris, son Carthoris. To stay or leave means death.